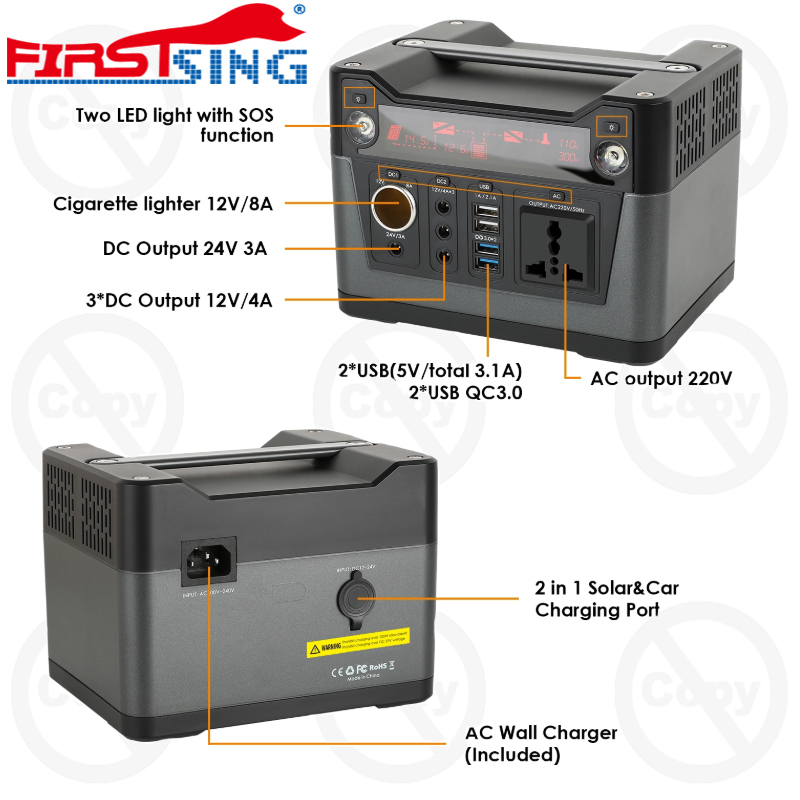 With 3 Ways Input Charging: Home wall AC outlet power(6-7 hours fully charged), Car cigarette DC 12V/24V power(6-7 hours fully charged) and 18v 60-100W solar power panel(6-7 hours fully charged).The solar panel is not included. 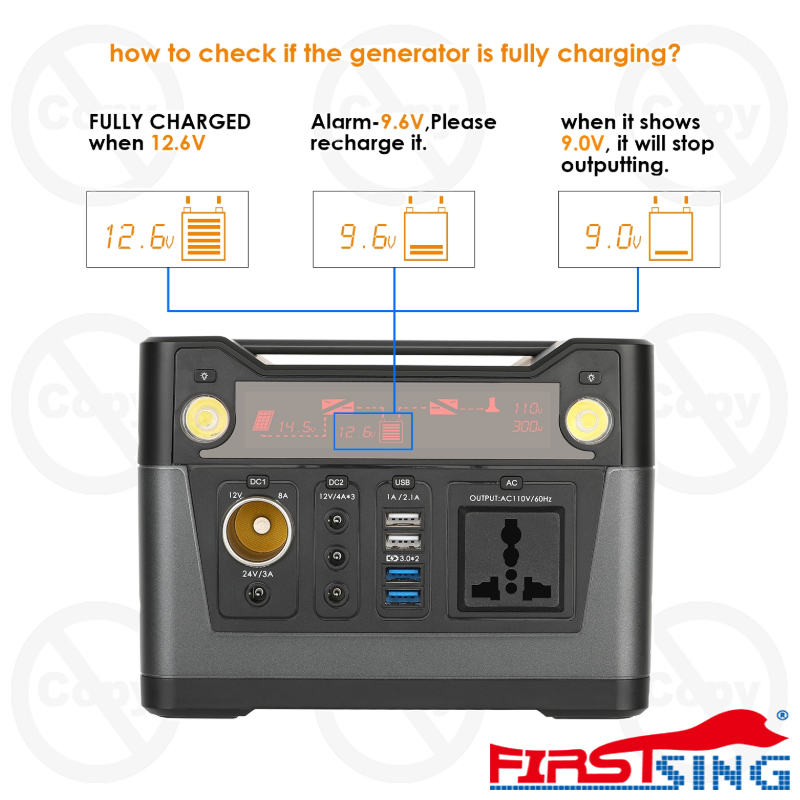 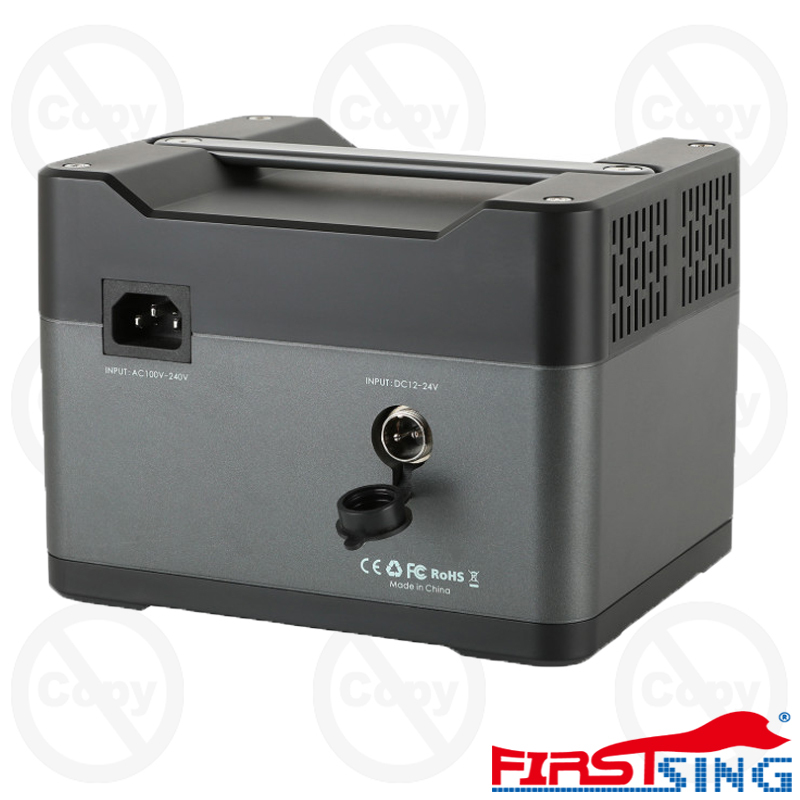 Poweful AC, USB and 12V DC outputs: comes with 3*DC output 12V/4A, 1*DC output 24V/3A,1*AC output 110V,2*USB 5V/2.1A, 2*USB QC3.0, these ports charges or powers products such as laptops, phones, tablets, cameras, drones, CPAP machine, small home appliances and more,24V 3A DC output port for some 24V CPAP or other 24VDC device,one 12V Car cigarette lighter,suit for car refrigerator car air compressor. 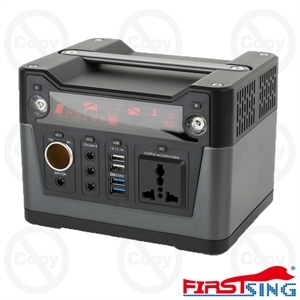 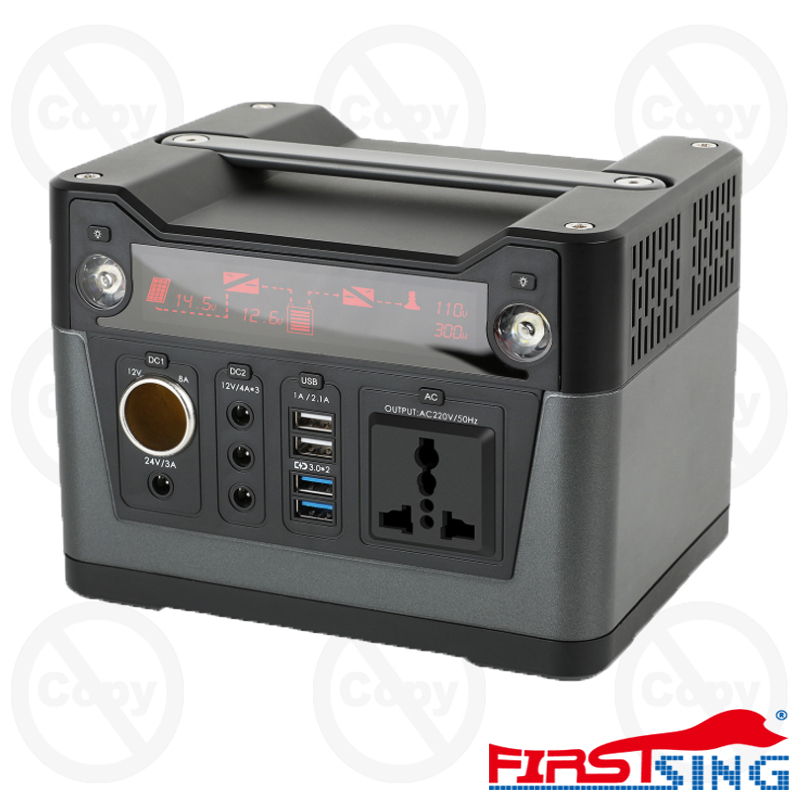 Features 2 pcs QC3.0 quick charge USB ports for mobile devices and modern computers like the new Macbook.